Organic and Nature's Organic Plant Booster is a natural plant stimulant. It contains all-natural cytokinin compounds, plant vitamins, and micronutrients to promote healthier roots, leaves, blossoms, and fruits for both indoor and outdoor plants. Ingredients: Vitamins, micro-nutrients, natural growth hormones, microbes and amino acids that will revitalize soil biology, improve health and facilitate growth. The natural growth components are beneficial to the plant and help produce larger blooms, increase the amount of blossoms, promote healthy root growth and reduce plant stress. 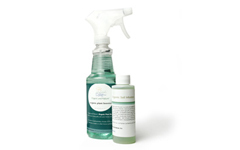 Organic Plant Booster is safe for use around people, pets, and the environment. SPECIAL - Now comes with a FREE 4 oz. Organic Soil Infusion.